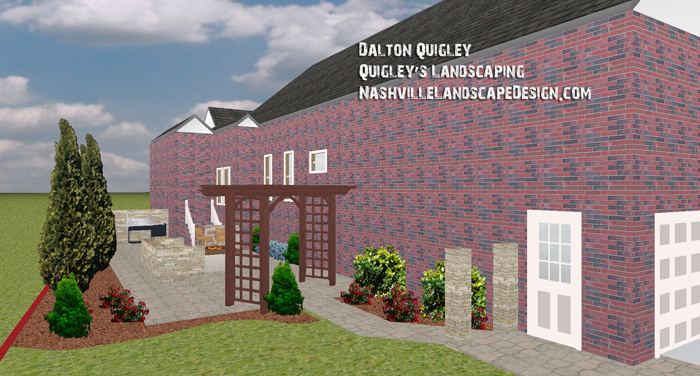 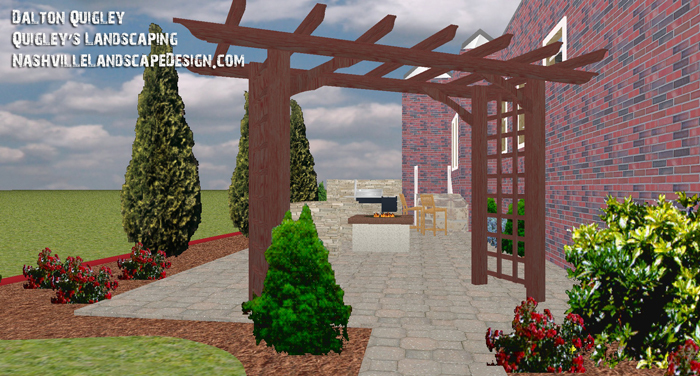 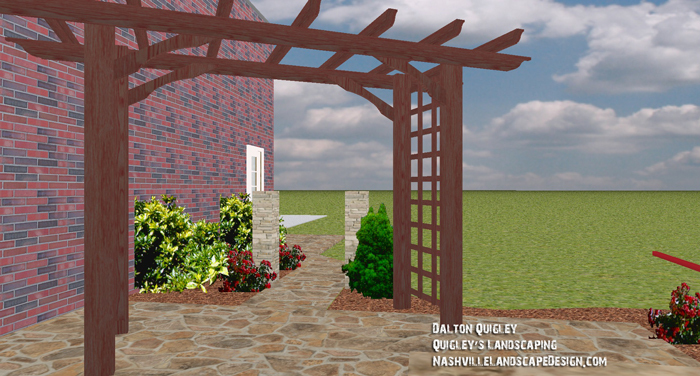 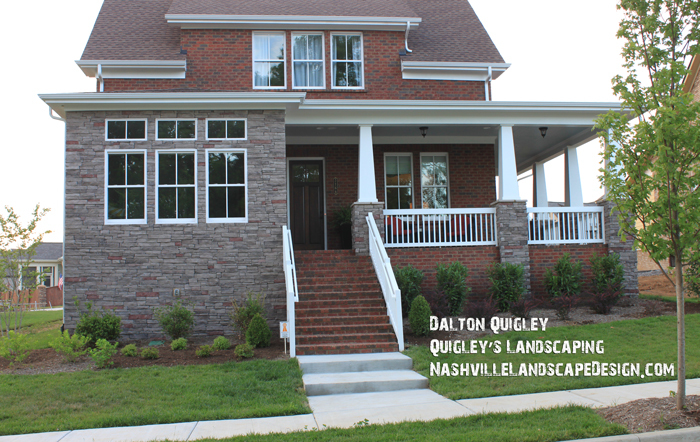 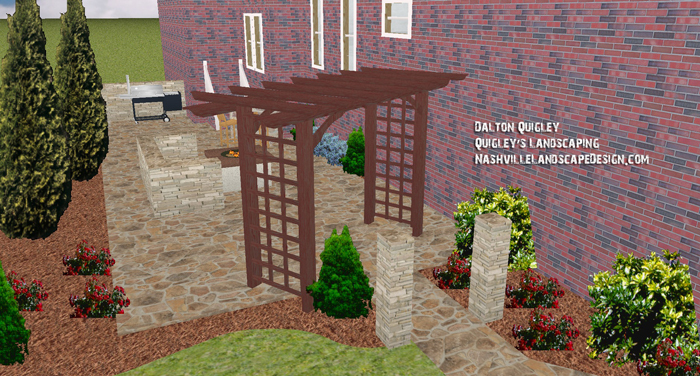 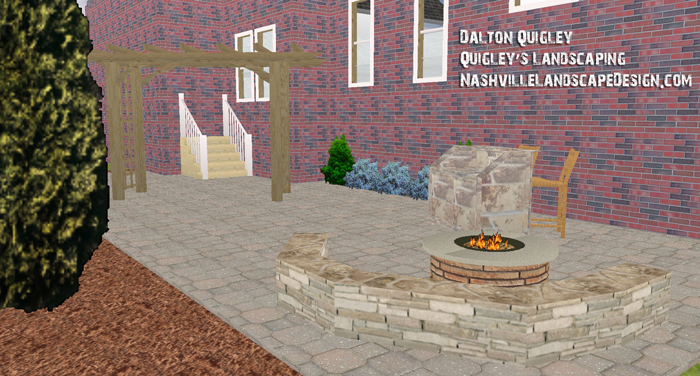 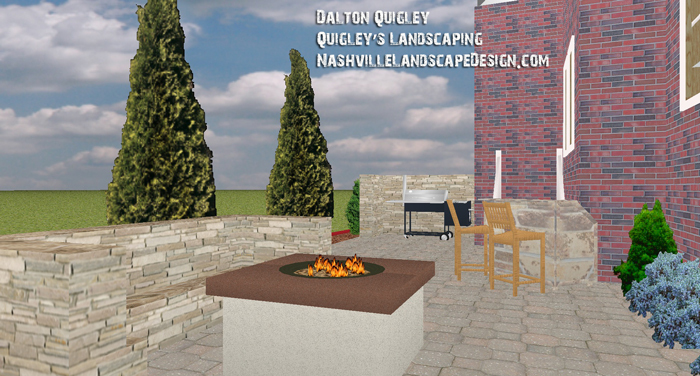 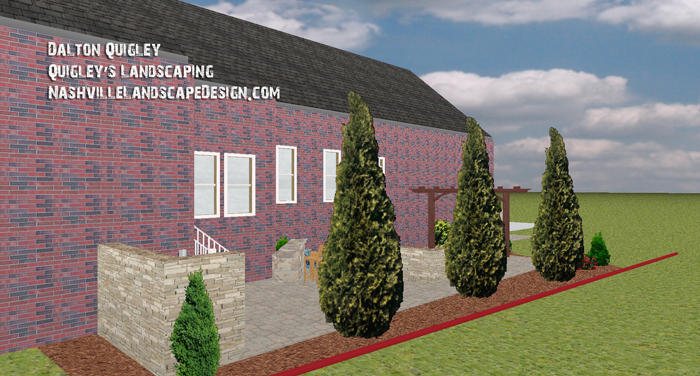 This design by Dalton Quigley Landscape Designer is going to be a side yard that needs to be transformed into a usable space that works well with the existing home. 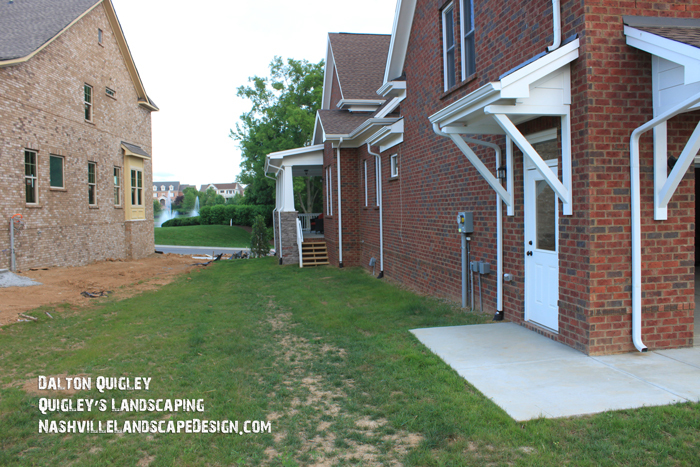 The two images below are how the home looks at the time of measuring and taking photographs. 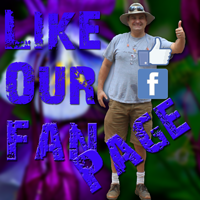 Older Graphics we no longer use. 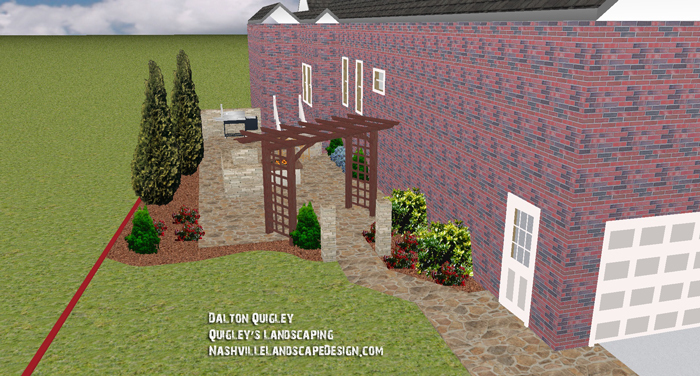 Side Yard Landscape Design Images Below This Point. 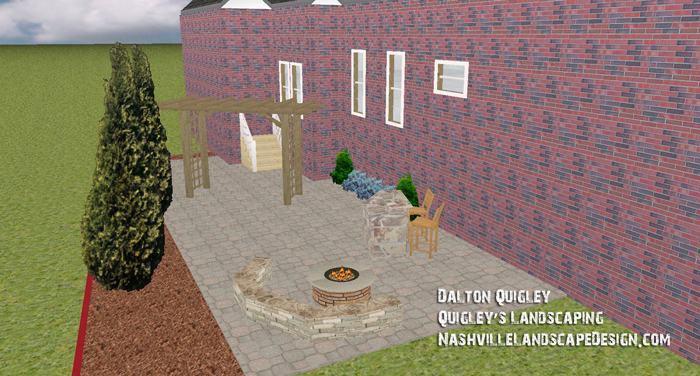 This first image below is a basic shell representing the home. 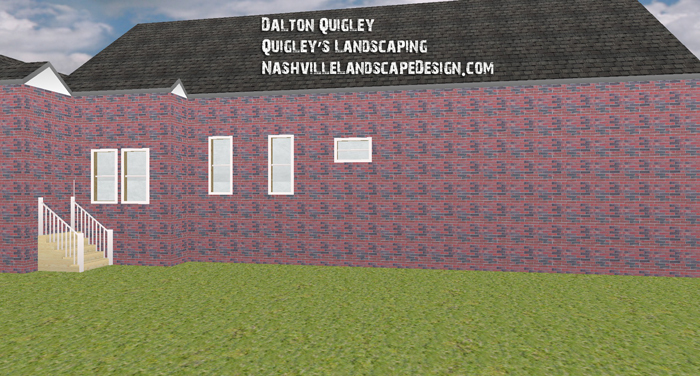 Below I have a added windows and a set of steps, now the space should look a little more familiar. 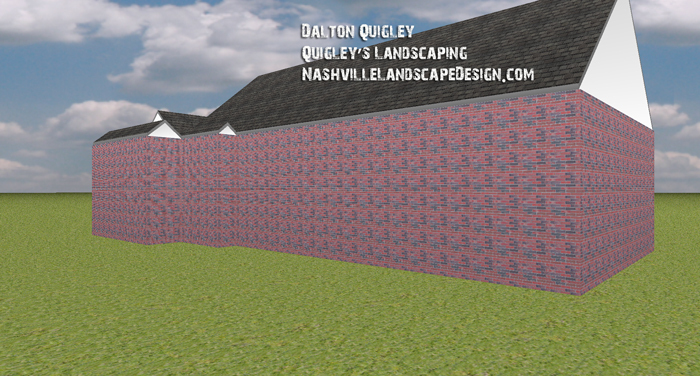 The image below shows where the property line is with a red marker. 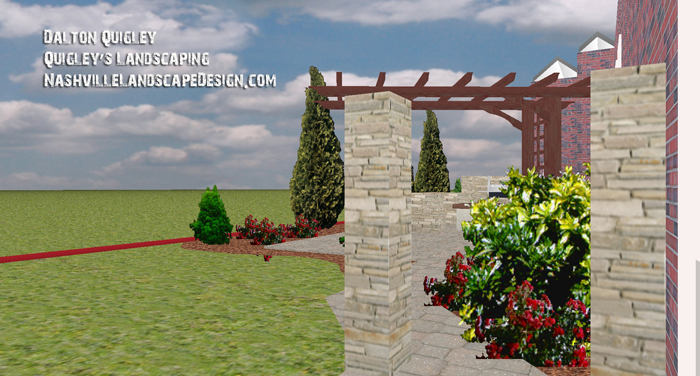 New Images below this point! 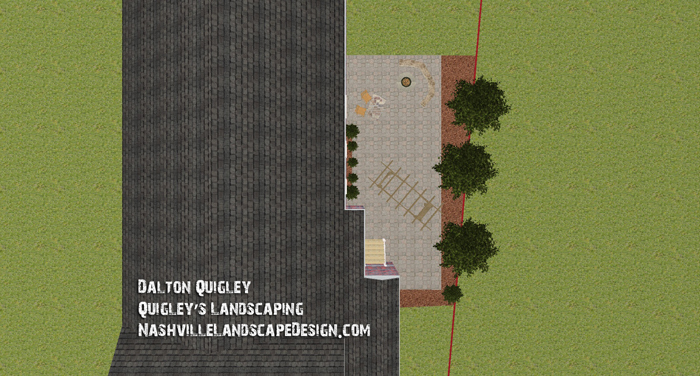 In the image above you can see a top down view of where the property line is which gives us our boundary. 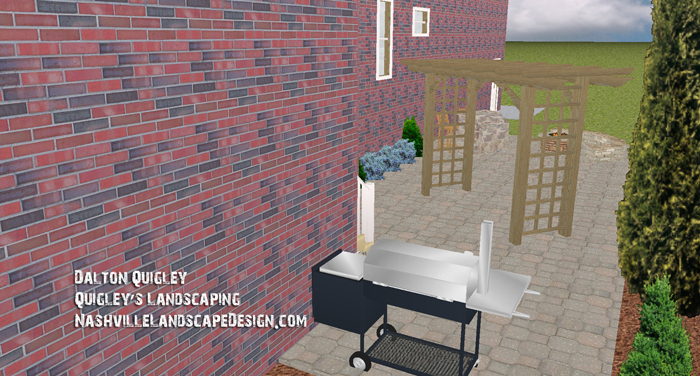 The items in the design can be moved, changed, and even removed entirely. 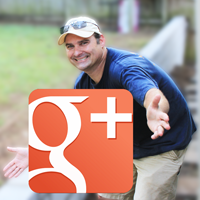 Please take some time to look at the images the way they are today. 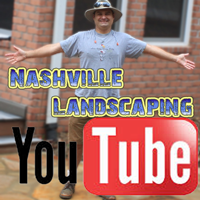 I will be spending time making several changes. 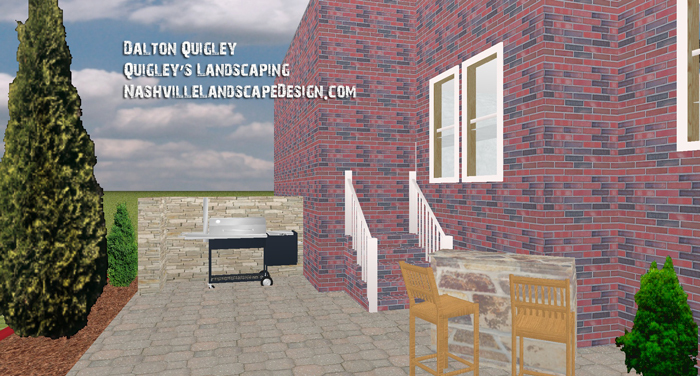 This is a start so we can begin working back and forth to make the space ideal. 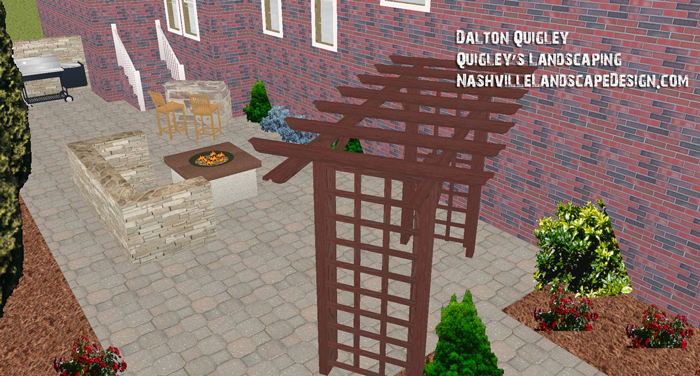 In the above image you can see a paver patio, bar area with chairs, a fire pit complete with crescent shaped bench made of stone, and an arbor. 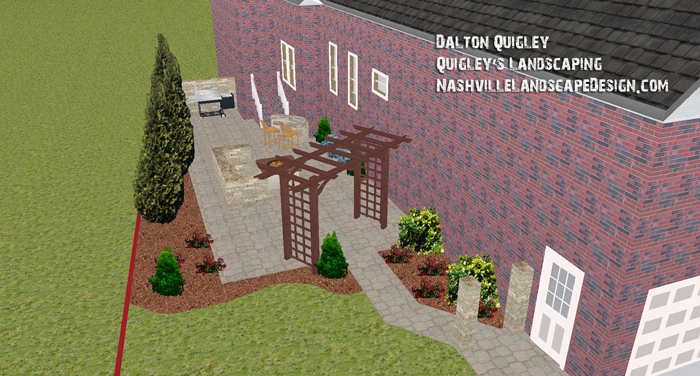 I have moved the location of the columns to right where the landscape bed begins on the neighbors side which gives you a little of the garden on the inside area of the patio to enjoy. 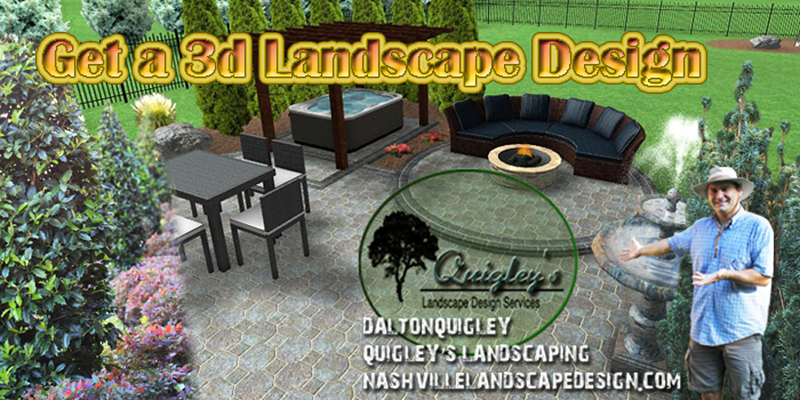 The patio has been changed to a stone look ( Tan Crab Orchard Flagstone ). 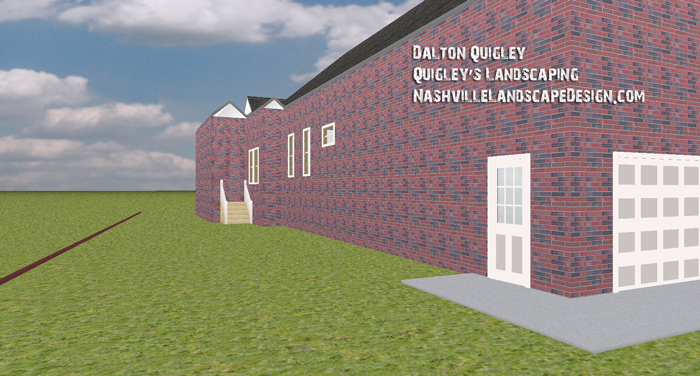 Which is very pleasing. 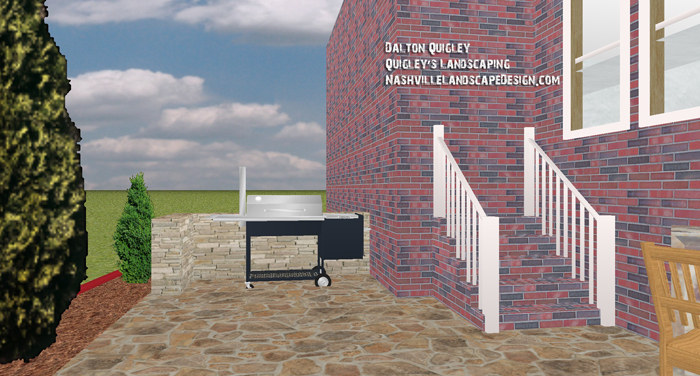 From the images you can see I changed the size of the columns to 4′ from 5′ and the Grill area wall I changed from 5′ to 3′ which is the same as the top of the brick steps. 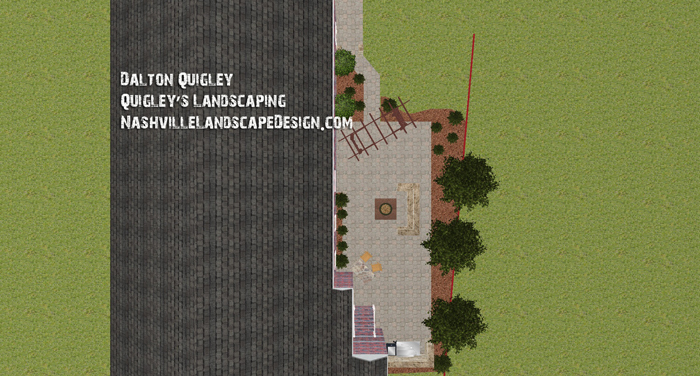 If you are happy with the hardscape design portion I can make changes to the landscaping ( plants, mulch color, etc) if you like.